At­ NEXT14, great speakers will draw a picture of what ’The New Normal’ will look like in the near future. Join NEXT14 on May 5-6, 2014! Together with 1,800 international executives and entrepreneurs you will learn about ideas that currently make our jaws drop, but will become normal in no time. NEXT started as a party for SinnerSchrader’s tenth anniversary in 2006. At that time, the conference was still located in Hamburg. But things were not destined to remain this way. The demand for tickets was too great; the feedback from the event too overwhelming. That’s why NEXT increasingly attracted a larger European public. To take account of increasing internationalisation, the conference moved to Berlin in 2010. Three years later, 2,000 people from 40 countries attended NEXT Berlin. 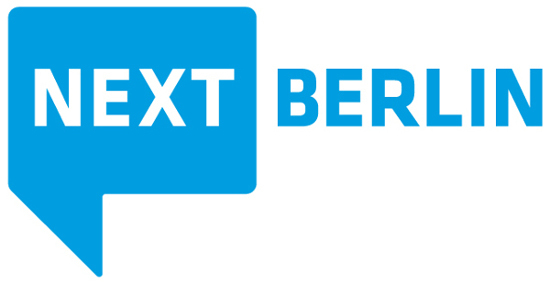 Today, NEXT Berlin leads the way as a meeting place for the European digital industry and is a vital driving force across borders. At the conference, marketing decision-makers and business developers meet technical experts and creative minds to discuss tech innovations and marketing trends that will fundamentally transform the way we do business. In order to stay abreast of changes, NEXT Berlin additionally organises conferences dedicated to specific emerging topics, that will have an impact on the European digital industry within the next year. Among these events are NEXT Finance as well as NEXT Service Design.